Our Tallahassee Partner, Richard Tanner was recently honored with a reception and plaque for his service as President of the Tallahassee Chapter of the American Board of Trial Advocates (“ABOTA”) for 2017-2018. ABOTA is an organization of highly skilled lawyers (both plaintiff’s and defense practices) and judges with multiple civic minded missions addressing the practice. 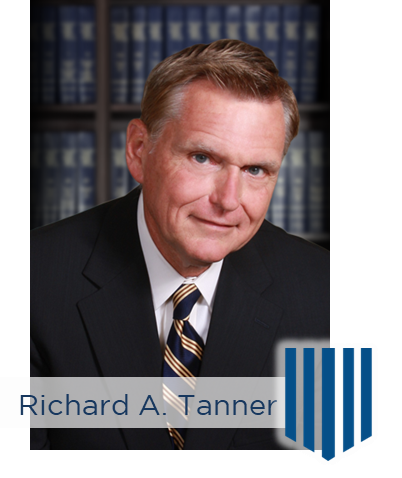 Mr. Tanner holds the status of “Advocate” in ABOTA, which is the highest rank in membership acheivable, by obtaining a minimum of 8 years of active trial practice and the trial to conclusion of a minimum of 50 jury cases. Mr. Tanner also holds Honoriam from Martindale Hubbell (*Preeminent AV status); Legal Elite and Super Lawyer recognitions. He practices insurance and personal injury law in all of the Florida Courts, state and federal out of our Tallahassee Office. He can be reached to assist at 850-201-3655 and RTanner@DSKlawgroup.com.